Happy New Year! May this year bring you more distance, straighter drives and putts that make it to the hole in one stroke. Friendly reminder: Please be sure to sign up for golf by Saturday afternoon, as our signup sheet comes down on Sunday morning. And please contact both the Pro Shop and Shirley if you have to cancel. Thank you in advance to everyone! We have been a busy group of ladies. The luncheon with the Niners was a huge success! We all played nine holes from the yellow tee boxes and had a GREAT time playing a scramble with a twist! The food and the companionship were both fabulous. Congratulations to all the winning teams! Thank you to everyone who hosted and to all you ladies who joined in the fun. Next year, it’s up to the 18er’s to come up with something just as good … challenge accepted! We also had quite the Christmas festival with a dinner and dance hosted by the Lady 18ers, the Men’s 18ers and the Tennis Club. Fun was had by all, especially during the “top hat – hokey pokey,” and then as if the night was not fun enough, we had a visit from Santa! The entire event was stunning! 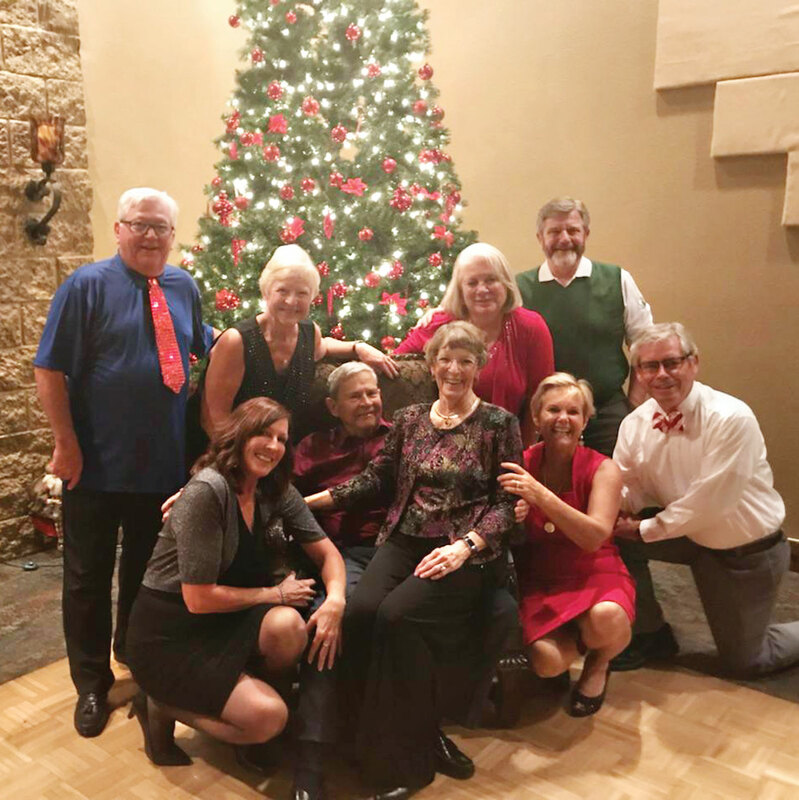 With all the fabulous decorations, Santa, an incredible dinner and dancing to an amazing band, it will be hard to top this one, but I am sure Joyce Gerber and her team will try. Thank you, Joyce, Jennifer Walden and all the volunteers who helped to put this fabulous event together! I am sure there will be plenty of photos in this paper and in our club photo book by the bulletin board. Thanks again, everyone, for creating just a delightful evening! 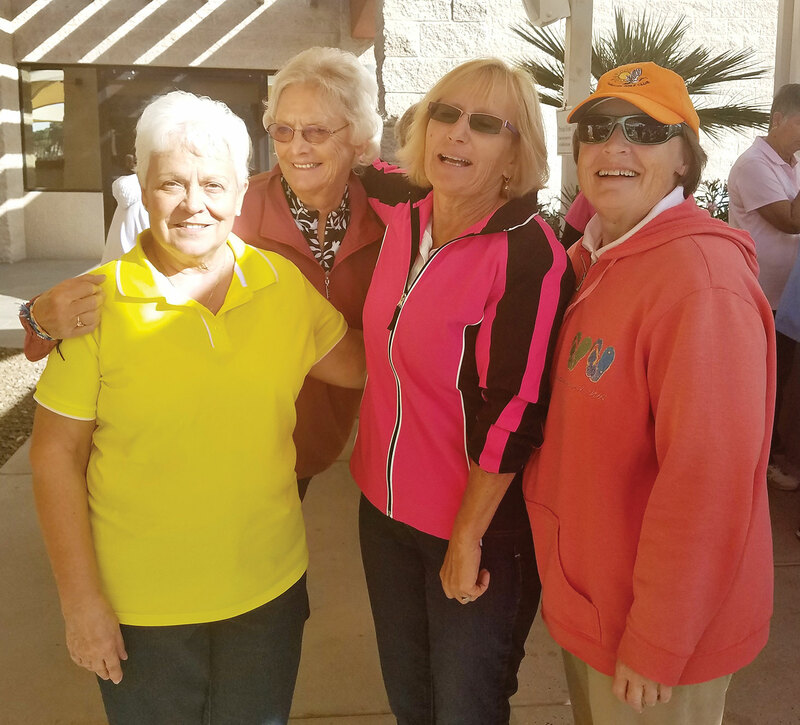 If you have a fun lady’s day golf story you would like to share (with or without a photo), be sure to send me a note. We would all enjoy hearing them. 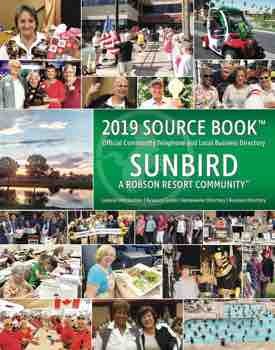 January 23 and 30 will be the Ladies SunBird Cup! We all look forward to seeing you on the course. Until next month, hit ‘em long and straight, but most of all, have fun!